There are many benefits of having a clean and fresh office space. For starters, it makes the employees feel safe and motivated to work. Customers and business stakeholders also feel comfortable and attracted to the premises. The business, therefore, performs better and achieves its profitability and growth objectives. Realizing a squeaky clean office premises, however, is no walk in the park. It requires experienced and skillful hands that make sure the office maintains its aesthetic appeal without interfering with the day-to-day business operations. That is where enlisting the services of a commercial cleaning service providers, comes in handy. When a person wants to contract a one-time cleaning professional, there are some steps that they should follow to avoid getting disappointed. The first thing that a person needs to do is to decide their office cleaning needs. 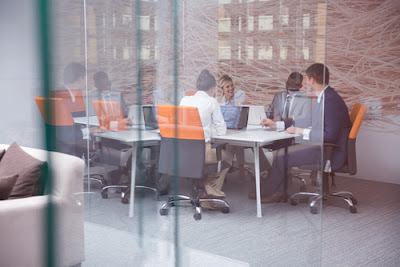 It will involve defining what areas needs cleaning, what days to conduct the cleaning, the time for the exercise as well as the amount of money that the office can spend on the cleaning contract. An organization might, for instance, need the cleaning of the carpet, windows, furniture and upholstery alone, while another might want janitorial services as well. 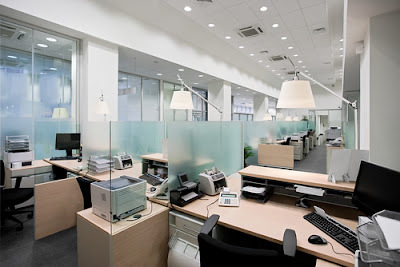 Many office management prefers to have the cleaning take place when they are not so busy. Once the cleaning needs are clear, it becomes easy for one to source the right office cleaner. After determining the cleaning requirements of the office, one needs to find out the amount of money that they can comfortably spend for the cleaning exercise. Even though there are benefits to having a clean workspace, it beats logic to go for contractors that stretch the office budget. Different cleaning contractors charge different prices depending on some factors. Some of the factors include the size of the area that needs cleaning, the level of experience and ability of the cleaning contractor as well as the hours worked. It is, therefore, prudent for the organization to come up with a price range of the amount that would be ideal for them. Someone in search of the right one-time office cleaner should then start shopping around for the service providers. There are many ways of doing this. For instance, a person can go through local business listings to find the commercial cleaners available in their area. Also, many cleaning contractors in Singapore have active websites that advertise their service range as well as price quotes. Another way of identifying the service providers is by asking friends, family members and associates for leads about a reliable cleaning company. Once a few leads are available, a person should make the first contact with those companies to learn if they match his or her office cleaning needs and budget range. From the preliminary interaction, a person can easily narrow down their list of potential service providers to about three to four. He or she should then invite the shortlisted cleaning contractors to the office so that they can give their quotes for the cleaning job. The office manager should clearly detail what their cleaning needs are, to enable the cleaning technician make the right quotes. 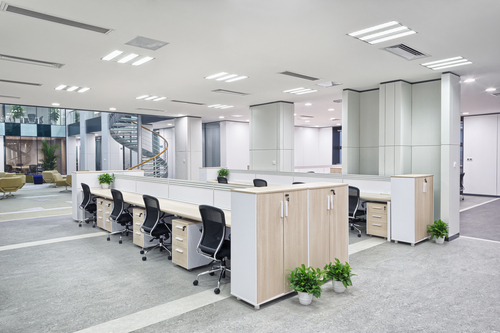 Even though some technicians would try to find out the amount the office allocated for the cleaning exercise, it is prudent for the office to withhold such information so that it ends up getting the right office cleaning company. While conducting the interviews to find the right match for the office cleaning needs, one should find out about the level of experience of the contractor. Experience in this regard refers to more than the amount of years of operation. It includes the frequency of handling similar work, as well as the nature of professional training that the cleaning technician has. In Singapore, a credible contractor must go through the Environmental Cleaning (EC) Singapore Workforce Skills Qualifications (WSQ) training modules. The assumption is that a company that has been around for long, which often handles similar cleaning challenges and has gone through the prerequisite cleaning modules is likely to offer satisfactory service. As per the laws of the National Environment Agency (NEA), all general cleaning service providers must have certification and operating license. For the business to get licensed it must register with the Accounting and Corporate Regulatory Authority (ACRA) or the Registry of Societies (ROS). The licensing ensures that the cleaning sector players offer quality service that upholds the cleaning standards. The prospecting cleaning contractor should give copies of the said certification. Next, the office administrators need to ask the contractors to offer names of three or more clients that can vouch for the quality of the service they give. In most cases, experienced and reliable cleaning contractors readily give the names. The person in charge should contact each of the references that the contractor provided to find out whether the contractor in question offers reliable services. It is also wise if a person asks if the references can recommend the contractor to another client. Depending on the answers provided by the references a person can infer the nature of service the commercial cleaner provides. Before getting into any legally binding contract, sound business logic dictates going through the terms and conditions set there. In that regard, a person should go through the terms of service of the commercial office cleaner. For instance, a person should find out the hours that the cleaning company agrees to work, the kind of cleaning services they intend to offer, how they arrive at their price rate, what the total cost of the service is and what are the payment terms and modes. One should also find if the cleaning contractor provides their cleaning equipment or if the office handles that. It is important to verify whether the contractor has adequate and relevant insurance cover. Once a person has gone through the above steps, he or she should compare how the different cleaning contractors scored in comparison to the cleaning needs and budget. The contractor that scores highly in most cases is the best office cleaning service provider.